As retirement comes around, deciding if you want to relocate can be a difficult process. Multiple aspects come in to play when relocating, and one of the biggest factors is the cost of living. Many parts come with the cost of living, such as monthly and yearly expenses that may include a car payment, a mortgage, taxes, utilities, and other bills you may have. Not only do you need to think about the big expenses but also the miscellaneous ones such as groceries, dining, and weekly/weekend activities. Once you have thought through your expenses and have a solid budget plan, then it is time to decide about where to relocate. When picking a place to live in their golden years, many seniors think about the travel distance between them and their loved ones. Retirement gives seniors the opportunity to spend more time with their friends and family, but sometimes traveling long distances can become difficult for them. Therefore, many of them try to find a city that is fairly close to their loved ones or may have easy access to airports so both them and their families can travel easily. The Chattanooga Airport is right around the corner in Chattanooga as well as the Atlanta International Airport that is about an hour and a half south of Fort Oglethorpe. Cost of living is the top priority when deciding to move for retirement. When you retire, you have to adjust to living on a fixed income compared to a monthly income from when you were working and therefore, finding the perfect city for you is quite important. This can be worrisome, but don’t worry because Fort Oglethorpe, GA is a continuum of care retirement facility that is located only a short distance from the best shopping, restaurants, entertainment, hospitals, etc. It is only 20 minutes from Chattanooga, TN where the cost of living is 12.5 percent below the national average and has great healthcare costs. 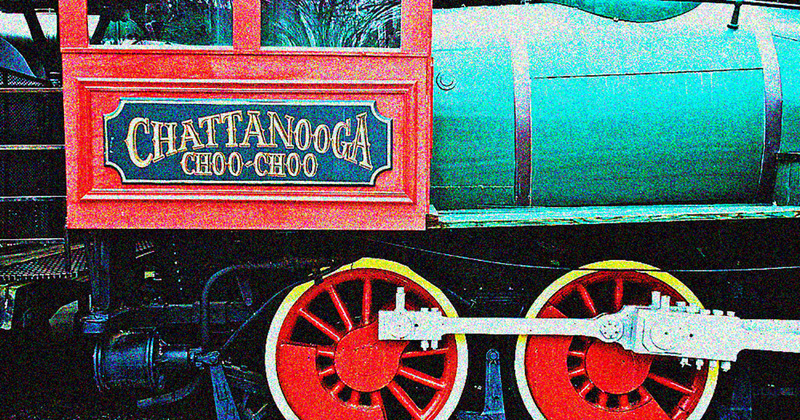 The Chattanooga Choo-Choo is just one of the many attractions making the Scenic City among the best places for seniors to retire. Having activities to do is important when in retirement, and when choosing where to live you need to research some of the activities that the city has to offer. Most places have many things to do, but not all of them may be enjoyable for seniors. Since Fort Oglethorpe is so close to Chattanooga, there are multitudes of activities to do. Ruby Falls is one of Chattanooga’s important attractions. It is located within Lookout Mountain and has a 145-foot underground waterfall. You can explore the cavern and see the wonder that was once inaccessible until the 20th century. This is an excellent place for all of nature/cave lovers. The Tennessee Aquarium is conveniently located in downtown Chattanooga. It houses two significant exhibits including the River Journey and the Ocean Journey, which has animals of all different types. This is an activity that is fun to do multiple times as well as with family and friends. Lastly, there is the Hunter Museum of American Art for those who enjoy art from different centuries. The collection includes works representing the Hudson River School, American Impressionism, early modernism, and so much more. This is a great place to spend a weekend afternoon. When deciding where to live climate will come to mind. While some seniors may enjoy a cooler fall and snowy winter, many others much prefer a warmer climate throughout the year. Fort Oglethorpe has a warm climate throughout most of the year. It does get cooler throughout the winter with an average of one-inch snowfall per year but stays mainly warm spring through fall. As we near retirement age, the quality of healthcare nearby becomes a growing concern. A small town in the middle of nowhere may offer simplicity and serenity, but what if an emergency prompts a need for more urgent medical attention? A great benefit of the Fort Oglethorpe Rosewood communities is the staffing we offer by trained personnel who can respond 24/7 for those with recurring medical needs as well as those who just like having someone else around to remind them when it’s time to take any prescribed medicines. A private house may offer solitude that some desire, but when living in a retirement community, there’s less reliance on the kindness and concern of neighbors to check in to make sure a senior who is living inside hasn’t fallen and broken a hip, for example. Even if a senior is fit and independent enough to be self-reliant, we should think ahead in the times to come when age does become more of a component. It’s nice to know that if an ambulance is ever needed, the EMT drivers are familiar with where a senior living community is located and how to get there quickly to respond as needed. Regency’s residence and service options range from Independent Living to Assisted Living to Memory Care.